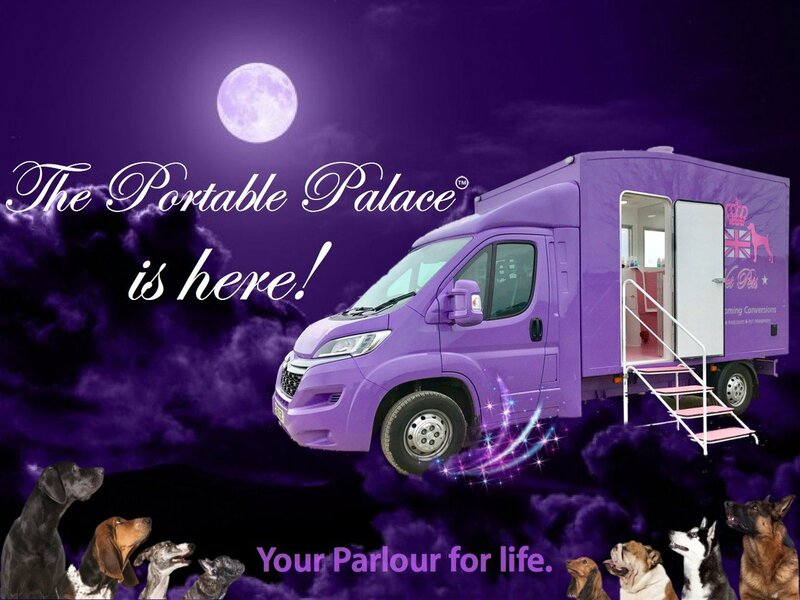 Introducing the "Portable Palace" - the UK's first demountable grooming parlour! 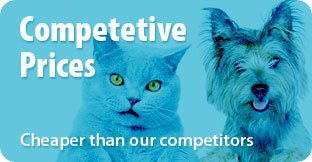 Created from our Revolutionary insulated panel, the Palace provides groomers with unrivalled benefits never seen before in the industry! This amazing new concept was born due to our lining's incredible lifespan - they often out live the vans they were placed in - so we created a demountable pod where your business can be moved on to the next chassis easily when needed - or if you no longer wish to be mobile, you can demount the pod and work from your garden! If the chassis is involved in an accident or breaks down you can simply remove the body, place it on the ground and work from your driveway whilst you wait for it to be repaired. The lining will not out live the vehicle like so often seen with used van conversions. 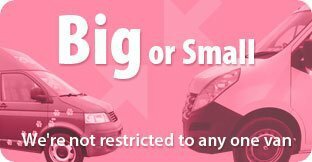 You then have to sell the van & conversion and then buy a new van and conversion and wait whilst it is converted. Whereas with the Palace, you can keep the pod forever and change the chassis as you need to. Once you choose to retire from mobile grooming you can remove the Palace, sell the chassis and work from the Palace in your garden instead of having to buy a parlour or convert a room in your house. When you choose to move home, you can take the pod with you and this portability combined with the size means they will not normally require planning permission in your garden. You never need to buy a Brand new chassis that can depreciate - simply buy used a chassis and then swap them out as they get too old. Each Palace is completely customised to your exact specification and includes a fabulous full length window. 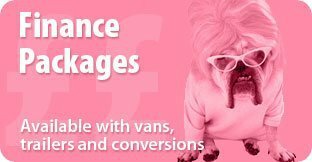 Say goodbye to having to buy a whole new van and conversion every few years - simply move your Palace from one chassis to another with zero down time and when the time comes and you no longer want to be mobile, simply place your Palace in your garden and you have your very own at home groom room! Prices below include the Box and Conversion but exclude cost of Chassis. A Good used Chassis can be purchased from approx £7,000+vat upwards and we are able to help source one for you. Wet Pets Revolutionary 100mm 100% waterproof fully Palace body including rear and side doors - keeping you warm in the winter and cool in the summer with anti-frosting and anti-condensation ability and a fabulous texture free white gloss finish for easy cleaning. 6X ultra bright L.E.D lights in LWB vans and 4 in MWB vans. A wall mounted Double K Challengair Airmax Dryer fitted in rear of the van with switches located next to grooming table - Highly regarded as the best Blaster on the market with unbeatable power and lasting quality. 250 litre fresh water tank in rear of vehicle. Rear Half Bulkhead with Lexan Glass storage sections & Wet Pets Motif. Wet Pets Revolutionary 100mm 100% waterproof fully insulated Palace body including rear and side doors - keeping you warm in the winter and cool in the summer with anti-frosting and anti-condensation ability and a fabulous texture free white gloss finish for easy cleaning. 1 Electric vent for steam extraction and fresh air intake.